Make an appointment with one of our interior architects, or ask one of our specialists to come to you. Take a plan, dimensions and as much information as possible for your project, allowing us to realise as personal an approach as possible. Tell us about your ideas. Indicate what you need. 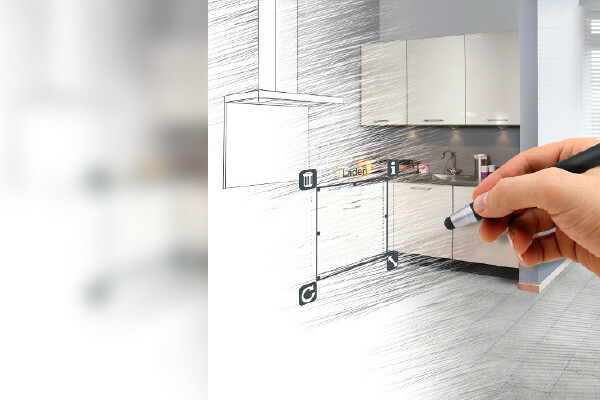 We will use this dialogue to provide you with advice and come up with a proposal for the most appropriate and aesthetic solution for your customised kitchen. We will, of course, take your budget and your lifestyle into account throughout this process. You will receive a no-obligation virtual presentation of the project a few days later. This will give you a much better idea of your future custom made kitchen and will make it easier for you to choose the materials and finishing. You will receive a detailed financial quotation. Our technical team will visit your site to take the final measurements for the order, once you have ordered the kitchen of your dreams. These final measurements are essential, as there are always deviations in relation to the architectural plan. We implement within the prescribed period. 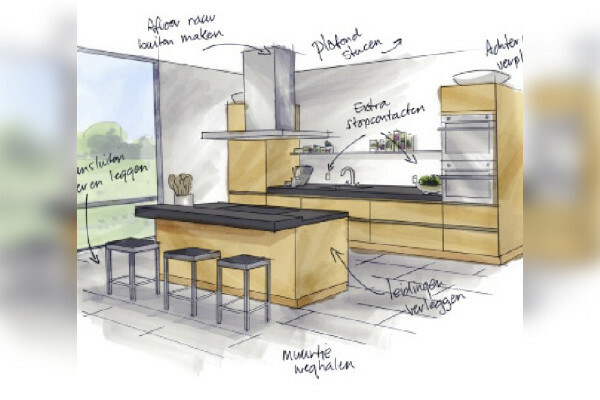 The same team will install the kitchen once it has been delivered to our warehouse and this in the pre-defined period.